Celebrated by both the Horde and the Alliance, the Brewfest is a time to enjoy the fermented fruits of the harvest: pretzels, cheese, and booze! The competing breweries Thunderbrew, Barleybrew, and the Ogres, all come together outside of all the major cities in a bid to outdo each other with their special ales, meads, and beers. Brave adventurers are invited to sit back, take a pull, and sample the finest wares these brewers have to offer! September, 20 - October, 6. Ironforge (Alliance) and Orgrimmar (Horde). Beer gardens will also be set up outside of Silvermoon City, Darnassus, Undercity, Stormwind, Thunder Bluff, the Exodar, and Shattrath. 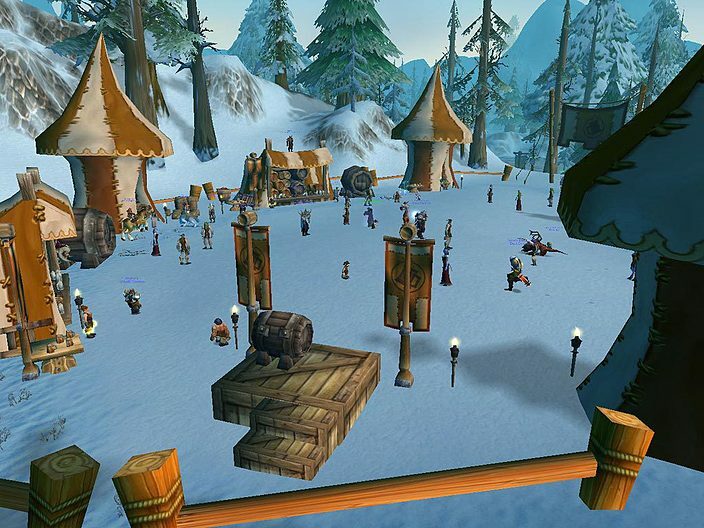 Brewfest Prize Tokens are the currency to purchase festival clothing and other special items. You can collect them by completing quests, including the daily quests that are part of the festival. Every year, the brewmasters from Drohn’s Distillery, T’chali’s Voodoo Brewery, the Barleybrews, and the Thunderbrews celebrate their handiwork with two weeks of fun, frivolity, steins, spirits, and sausages right outside the gates of Ironforge and Orgrimmar. Wowhead, Wowpedia, WoW Center (Polish), WoWFan (Czech). With so many revelers enjoying the fermented fruits of the harvest—pretzels, cheese, and booze—it’s only a matter of time before the Dark Iron Dwarves from Blackrock Mountain will crash the party. You can team up and drive them back to the Grim Guzzler to earn valuable Brewfest Prize Tokens. If the Dark Iron are already running for the mountains, you can also earn tokens by completing daily keg deliveries, barking runs for the brewers, and other quests that you can drink your way through. After a few too many, you might even spot a pink elekk or wild wolpertinger. It's time to track down the source of the Dark Iron attacks and end them once and for all. Players will follow a trail of evidence that leads to Blackrock Depths, where they can do battle with the mastermind behind the attacks - Coren Direbrew. He drops special rewards including epic weapons, trinkets, and rare mounts. Each day at 6:15 AM and 6:15 PM server time, High Tinker Mekkatorque (Ironforge) and Vol'jin (Orgrimmar) come out to the Brewfest grounds for a brief Tapping of the Keg ceremony. Witnessing the ceremony grants players a buff that increases experience earned by 10%. For 200 Brewfest Prize Tokens, you too can join the exclusive "Brew of the Month" Club. Once a member, you are sent a new brew in the mail every month, each with different properties. If the brew is to your liking, you can purchase more from specific vendors in Ironforge or Orgrimmar. Adventurers can show their ram-riding skills by speaking with Neill Ramstein or Ram Master Ray. Before they'll trust you with their precious rams, though, you'll need to prove you can control one! Once you've proven your expertise at handling the rams, you can earn some Brewfest Prize Tokens by picking up some kegs of brew from Kharanos or Razor Hill and bringing them back to the fest. 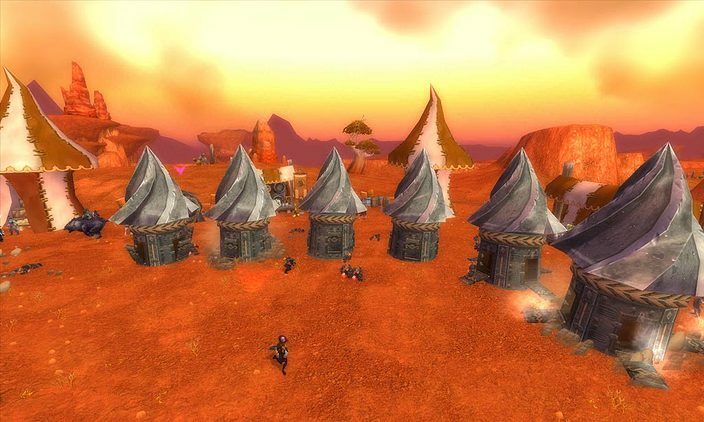 The representatives of some of the major breweries want adventurers to help out by advertizing their brews in Orgrimmar and Ironforge; just speak to one of the brewers for Barleybrew or Thunderbrew outside of Ironforge or T'chali's Voodoo Brewery or Drohn's Distillery outside of Orgrimmar to get started. During the first few days of the Brewfest, the envious Dark Iron dwarves will launch a sneaky invasion of the festivities. Determined drinkers must rally to protect the ale and to give the Dark Irons a sound thrashing lest they make off with the booze. These professional hoarders will trade Brewfest Prize Tokens for food, festive clothes, mounts, a pet, and more! Brewfest gives you the chance to collect a seasonal mount (different according to your faction) and pet, as well as a variety of costumes, fun items, and of course many dishes and beverages! A sturdy decorated ram that you can find on Coren Direbrew dead body. A unique decorated kodo that you can find on Coren Direbrew dead body. This cute companion, taught by a Wolpertinger's Tankard, can be bought for 200 Brewfest Prize Tokens to Belbi Quikswitch (for the Alliance) and Blix Fixwidget (for the Horde). Is that really a pink elephant? You must be kidding. But you still buy this adorable tiny pachyderm for 100 Brewfest Prize Tokens to Belbi Quikswitch (for the Alliance) and Blix Fixwidget (for the Horde). 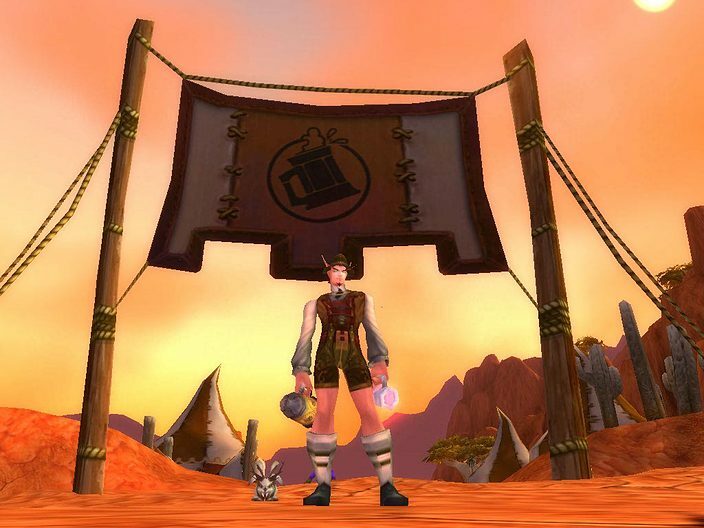 This Brewfest clothes set includes hats (see below), slippers or boots (each for 100 Brewfest Prize Tokens to a seasonal merchant), and dress or regalia (each for 200 Brewfest Prize Tokens to a seasonal merchant). Each of these Brewfest hats are part of the Brewfest Garb, and are sold for 50 Brewfest Prize Tokens to a seasonal merchant. Attach two tankards to your head or helmet with this item that can be bought for only 2 Brewfest Prize Tokens to Belbi Quikswitch (for the Alliance) and Blix Fixwidget (for the Horde). This amazing item can be bought for 100 Brewfest Prize Tokens to Belbi Quikswitch (for the Alliance) and Blix Fixwidget (for the Horde). They will change all players and NPCs into Gnomes (for the Alliance) or Orcs (for the Horde) to anyone who wears them. These beautiful goggles are a quest items and simulate the effects of alcohol. The effects can easily be dismissed by removing the goggles. Each year, you can receive a unique Commemorative Stein as a quest reward to welcome you in the Brewfest festivities. This handy remote may be contained in a Keg-Shaped Treasure Chest. It summons an underground mole machine that gives you a ride to the grim Guzzler in the Blackrock Depths instance. This item will allow you to carry a keg of delicious Brewfest Brew on your back to toss some to friends! It can be bought for 100 Brewfest Prize Tokens to a seasonal merchant. This item will tap a pony keg of delicious Brewfest Brew. It can be bought for 100 Brewfest Prize Tokens to a seasonal merchant. This item will summon a beer-toting Keg Pony for 3 minutes. It can be bought for 200 Brewfest Prize Tokens to a seasonal merchant. This consumable item will temporarily turn your mount into either a Brewfest Ram (for Alliance members) or a Brewfest Kodo (for Horde players). It can be bought for 20 Brewfest Prize Tokens to Belbi Quikswitch (for the Alliance) and Blix Fixwidget (for the Horde). This temporary consumable item will last 7 days only and will temporarily turn your mount into either a Brewfest Ram (for Alliance members) or a Brewfest Kodo (for Horde players). It can be bought for 20 Brewfest Prize Tokens to a seasonal merchant. From the Thunderbrew Stout to the Barleybrew Light, you’ll be able to purchase many different beverages with your Brewfest Prize Tokens, as well as a great variety of food including sausages, pretzels, onion cheese and more sausages! Brewfest currently offers a total of 110 achievement points, split over 10 achievements and 1 meta-achievement. Please note that all objectives for achievements for the Horde and Alliance are relatively the same, with some minor differences. If you complete the 6 Brewfest achievements below, your character will gain the title of Brewmaster. Visit our Brewfest gallery for some images from the annual event!